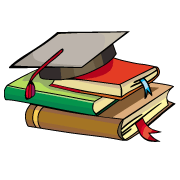 mycbseguide provides CBSE last year papers for class 11 English core. CBSE Previous Year Question Papers 2015,2016,2017,2018 are very helpful for students. if you do practice Last Year Papers you have an idea of how much time you are taking to solve this paper.So, this is the best way to practice for Board exams and these Previous Year Question Papers makes you well prepared for exams. Last Year Question Paper from download from website and myCBSEguide mobile app for free. CBSE last year papers for class 11 English core and Last Year Question Paper & Solutions of 11 English core are made available by CBSE every year just after the exams are over. CBSE marking scheme and blue print is provided along with the previous year question paper. This helps students find answer the most frequently asked question, How to prepare for CBSE exams. The best way to prepare for exams is to understand the questions pattern and practice them as given in previous year question papers. 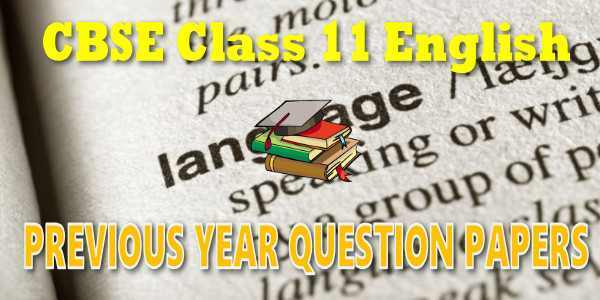 CBSE English core 11th Class Previous 10 Years Question Papers. CBSE class 11 Question Paper for English core for the year 2018, 2017, 2016, 2015 with solutions in PDF format for free download. The previous year question papers last 10 year for all – NCERT books and based on CBSE latest syllabus must be downloaded and practiced by students. These old 5 to 10 year question papers are the best source to understand question paper pattern and chapter wise weightage in class 11th English core question paper. 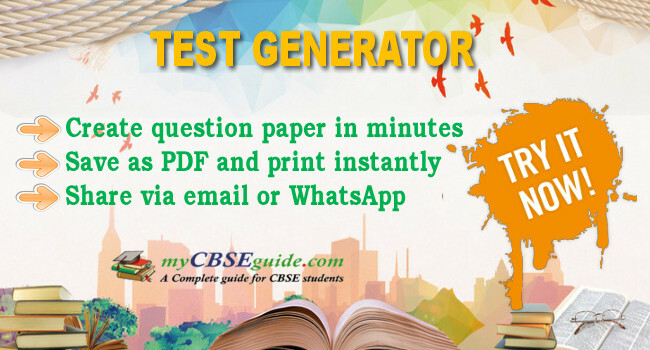 Old question papers of last 10 years for class 11 English core download as PDF from myCBSEguide, the best app for CBSE students. CBSE class 11 papers of last 5 years solved for English core 11 exams download free. CBSE question papers for class 11th English core with answers 2018 and 2019 are conducted by central of secondary education, New Delhi in the month of March and April. 11th CBSE English core Question Papers of CBSE exams with latest marking scheme and revised blue print is something each and every child should go through and practice regularly for better results in exams. CBSE exam question papers class 11 with answers and complete solution for the year 2005 to 2018 are available for free download. CBSE question papers 2018, 2017, 2016, 2015, 2014, 2013, 2011, 2011, 2010, 2009, 2008, 2007, 2006, 2005 and so on for all the subjects are available under this download link. Practicing real question paper certainly helps students to get confidence and improve performance in weak areas. To download previous year question papers for class 11 Physics, Chemistry, Biology, History, Political Science, Economics, Geography, Computer Science, Home Science, Accountancy, Business Studies and Home Science; do check myCBSEguide app or website. myCBSEguide provides sample papers with solution, test papers for chapter-wise practice, NCERT solutions, NCERT Exemplar solutions, quick revision notes for ready reference, CBSE guess papers and CBSE important question papers. Sample Paper all are made available through the best app for CBSE students and myCBSEguide website.